Sam Taylor-Wood makes big photographs. I like photographs that are small, made to be viewed in books or, ideally, held in one’s hands, destined to be turned, caressed, and scrutinized up close. In such experiences lies something like the essence of photography, for me. 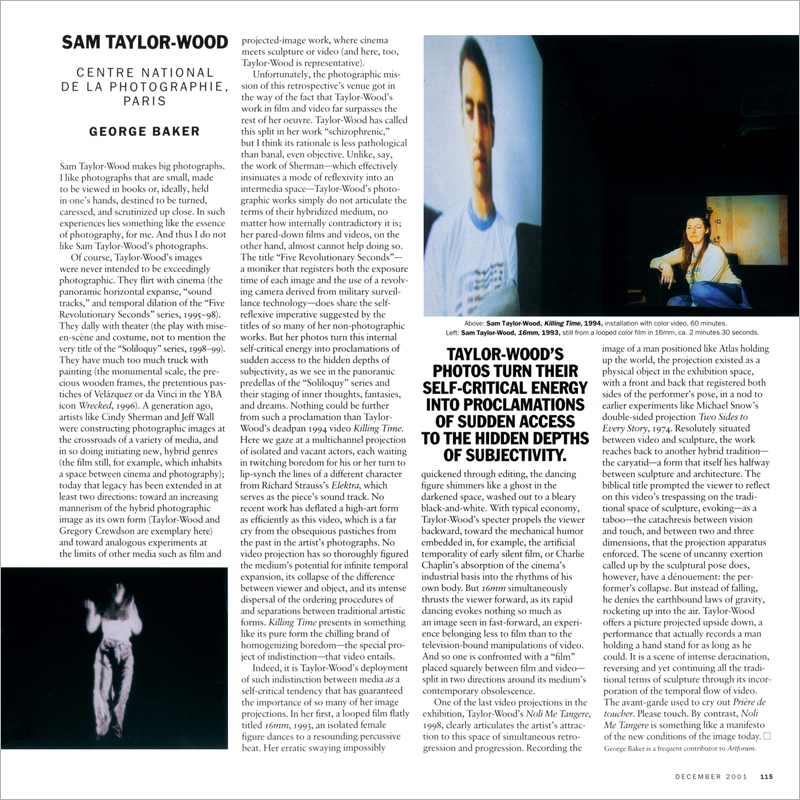 And thus I do not like Sam Taylor-Wood’s photographs.